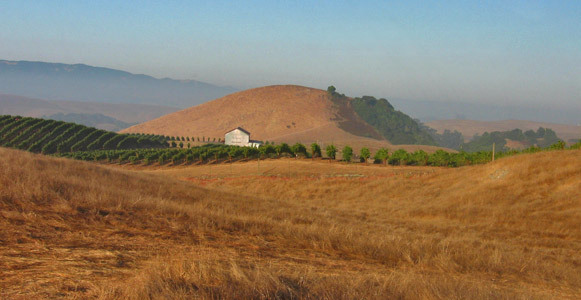 Situated high on the southern flank of the mountain range defining the western edge of Sonoma Valley, Wildcat Mountain Vineyard is an outlier in the Los Carneros appellation. The highest vineyard in the appellation, it sits on well-drained soils of volcanic origin, exposed to the full brunt of fog and cold airflow that streams off the upper reaches of San Pablo Bay. This is an ideal place to grow top-tier Pinot noir grapes. 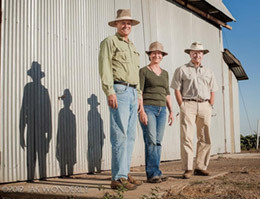 Formerly grazing land, the vineyard was established by Nancy and Tony Lilly with their partner Steve MacRostie in 1998. The quality of the vineyard bears testimony to the vision and tenacity of several generations of Nancy’s family, which has been the steward of this land for over 50 years. To maintain the integrity of Wildcat’s rustic grandeur, Nancy and Steve have committed themselves to farming that utilizes sustainable practices. Simply put, this means incorporating more earth-friendly methods to naturally replenish elements in the vineyard, including the use of winemaking pomace as compost. In addition, cover crops are grown to build soil health. We were thrilled to be approached by Steve MacRostie in 2003 with the offer to make a vineyard designated Talisman Wildcat Mountain Pinot Noir. These wines typically show a spicy, sassy character with depth, structure, energy, and personality. Download a vineyard profile sheet.